Entries for a major new photographic competition are now open. Bird Photographer of the Year is being organised in a partnership between British Trust for Ornothology and Nature Potographers. There is a prize of £5,000 for the winning image and £2,00 for the portfolio winner. Additional prizes are available for catagory winners and special awards. The Web site is www.birdpoty.co.uk where you will find all the details. But hurry up, the closing date for entries is 9th January. Pont Fawr and river Conwy, Llanrwst, Conwy, by Julian Elliott – winner of the countryside is great award. On 21s Otober Western Digital and SanDisk announced that Western Digital will acquire all of the outstanding shares of SanDisk for a combination of cash and stock. The offer values SanDisk common stock at $86.50 per share or a total equity value of approximately $19 billion. "This transformational acquisition aligns with our long-term strategy to be an innovative leader in the storage industry by providing compelling, high-quality products with leading technology," said Steve Milligan, chief executive officer, Western Digital. "The combined company will be ideally positioned to capture the growth opportunities created by the rapidly evolving storage industry. I'm excited to welcome the SanDisk team as we look to create additional value for all of our stakeholders, including our customers, shareholders and employees." 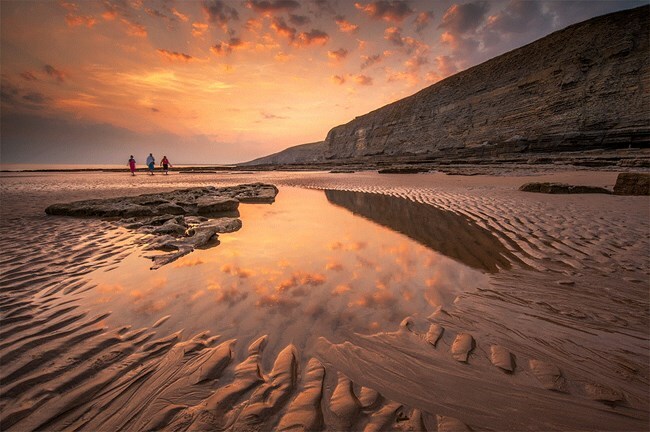 Here is a link to the winning images in the British Wildlife Awards 2015. The DxO One features a high performance prime lens with a maximum aperture of f/1.8, it has a 20.2 MP 1″ sensor, a top shutter speeds of 1/8000 of a second, and is capable of Raw image capture. It is designed to be small enough to fit into a pocket or purse, and attaches easily to your iPhone whenever you need to take images. At the Buchan Visual Arts exhibition held in Kemp Hall, Old Deer on 12th ans 13th September two members of Fraserburgh Photographic Society took the first three places in the Photography Section. First was Paul Woodburn with 'Green Wave'. 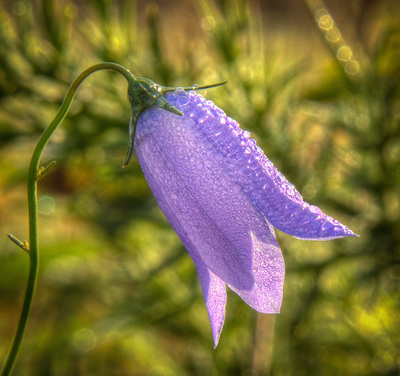 Second and third respectively were Mike Chandlers 'Harebell' and 'A Good Drying Day'. From time to time Fraserburgh Photographic Society members take photographs of dogs (well everyone has at some time in their lives haven't they) and even submitted them into competitions. Well here is the one to beat. 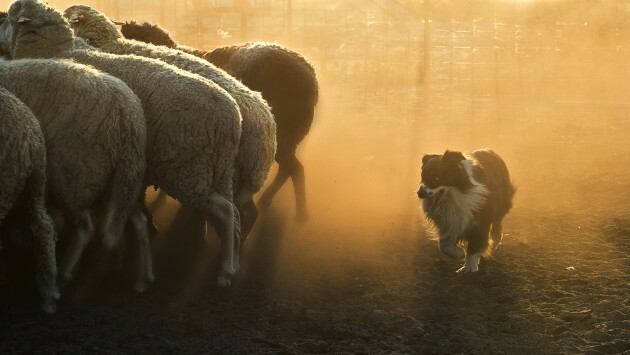 The setting sun provided an atmospheric backdrop to the winning photo in the Dog Photographer of the Year 2014 contest. And it was captured by amateur photographer Steph Gibson, who beat professionals to top spot. Canon are bringing out two new cameras at the end of May the 5D S and the 5D Sr. Both have 50 mega pixel full frame sensors and a reaimed at the proffesional market. At around £3000 they might be out of reach of most people. 'The Canon EOS 5DS features an all-new 50.6 megapixel CMOS sensor, along with dual DIGIC 6 processors. The autofocus system has a total of 61 points (in a 'high density reticular array'), 41 of which are cross-type. It uses the same 150,000 pixel RGB+IR metering system as the EOS 7D II with a scene detection system. The metering system also has an anti-flicker function for shooting under sodium vapor lights. The ISO range on the camera is 100-6400, expandable to 12800. The 5DS has a more rigid chassis than the EOS 5D III in order to minimize camera shake and improve rigidity. The shutter is rated to 150,000 cycles. The 5DS sports an 'Intelligent Viewfinder II' which has an embedded transparent LCD panel that can display cropped shooting frames, composition grids, and an electronic level. It also sports a 3.2" LCD display with 1.04M dots and dual memory card slots (CompactFlash and SD/SDHC/SDXC with UHS-I support). Photographers have a choice of two crop modes: 1.3x (30.5MP) aqnd 1.6x (19.6MP) as well as medium and small-size Raws. The 5DS can shoot continuously at 5 fps. Video-wise, the 5DS supports 1080/30p recording , though it lacks clean HDMI output and a headphone jack. The 5DS is joined by the more expensive 5DS R, which cancels the effect of the anti-aliasing filter, which increases resolution at the expense of additional moiré. 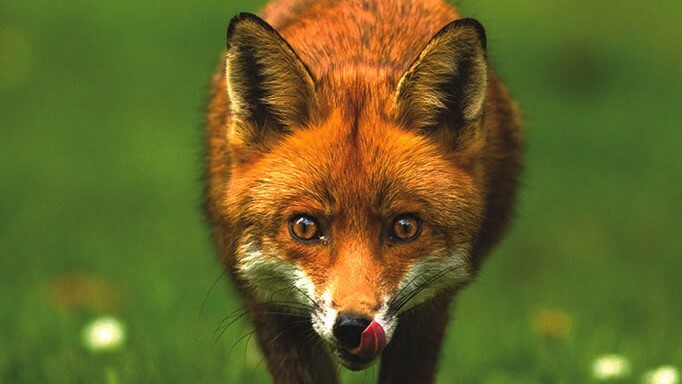 WildPix is the young person’s category in the British Wildlife Photography Awards. 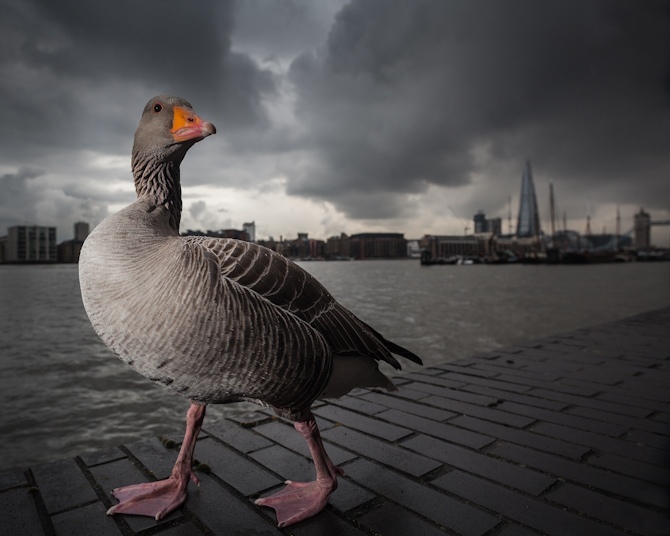 The 2014 winning picture ‘The Tourist’, is by Lee Acaster, an image of a Greylag Goose in London. Velux opened its Lovers of Light photography competition for the third year. Velux Lovers of Light invites amateur and professional photographers alike to creatively capture a moment of daylight, celebrating the role natural light plays in our daily lives. Whether the photo features a mountain scene, woodland walk, sea view or cityscape, Velux is challenging people to think differently about daylight. for more info follow this link. The closing date for entries is 20th February. 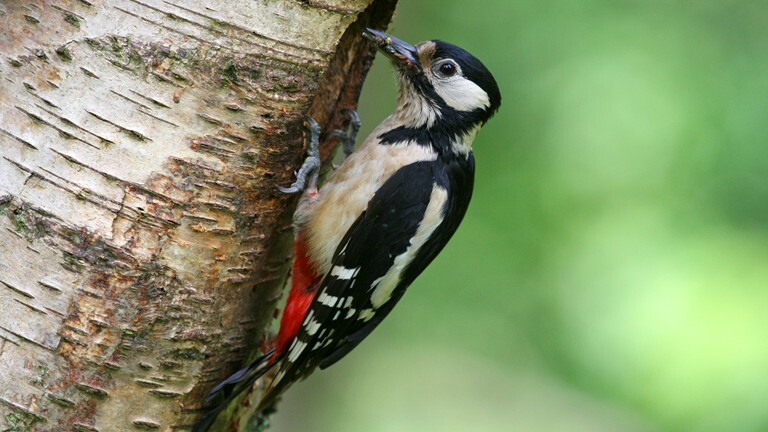 21.01.15 RSPB 2016 Calendar Competition If nature inspires you, why not share a special moment or encounter you've had with us, and enter the Giving nature a home calendar 2016 competition. It can be a bird, bug, plant, animal or even a beautiful view. As long as it was taken by you in the UK we'd love to see it. Microsoft + Thomson Reuters Foundation is inviting photographers around the world to take part in this year's annual Trust Women Photo Award, which aims to advance women's rights, in return for some amazing photo career opportunities. The Selected Photographer will have their work showcased in London at the Trust Women Conference, be awarded the esteemed Trust Women Photo Award, be featured in an interview published on the Thomson Reuters Foundation's award-winning website trust.org, have their work showcased across the social channels of Thomson Reuters Foundation, Trust Women, and Microsoft, receive an all-expense paid trip to a Mobile Journalism training course, and have their portfolio reviewed by the Thomson Reuters Foundation multimedia team. This month, you've got the chance to win 1 of 3 Wacom Intuos Pro M tablets, courtesy of the very generous Wacom! 1st Prize: Wacom Intuos Pro M Special Edition tablet 2x Runner up prizes: 2 Wacom Intuos Pro M tablets Wacom is currently running the 'Boost Your Ideas' campaign, giving you free extras with the purchase of an Intuos Pro tablet, helping you to take your ideas to the next level. The winners will also receive these free extras, which include: Trial membership to the Adobe Creative Cloud Complete Plan for 3 months £40 WhiteWall photo gift certificate All you have to do to be in with a chance of winning one of these great pen tablets is show us your very best 'White' themed photos. We want to see images incorporating the colour white in some way. These could be seasonal outdoor images featuring frost and snow, or white things we see in every day life, such as buildings, signs, road markings or any trinkets or ornaments you may have in your home. Show us landscapes, portraits and creative abstracts. Black and white or colour - anything goes as long as the image incorporates 'White' in some way. Wacom are also currently offering free eBooks to download, featuring tips and tricks for colorizing your old photos and creating personal gift cards. Two entries are allowed per person and the competition closes at midnight on 31 January 2015. Good Luck! This is an open call for portrait photography from around the world. 6 Winners and 25 Finalists will be chosen. The competition has been expanded this year to include a range of new categories. One of these is Skyscapes, sponsored by Insight Investment, which asks entrants to submit landscape or cityscape images that include features of the night sky such as the Milky Way. Also new to the table is the Aurorae category, which asks for photographs featuring auroral activity. 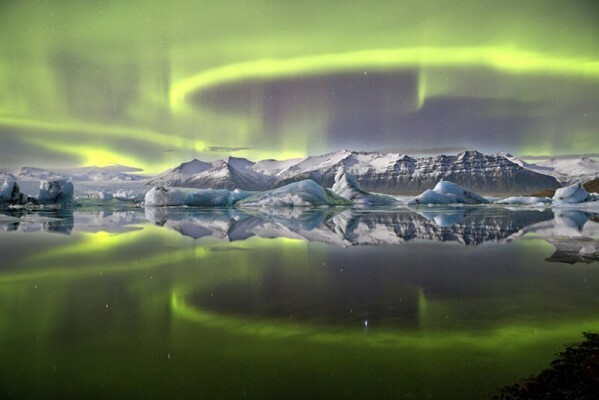 Photographer James Woodend won last year’s competition with an image of an Aurora over a glacier lagoon in Iceland (above). Other new categories include: Our Sun; Our Moon; Stars and Nebulae; Planets, Comets and Asteroids; and Galaxies. 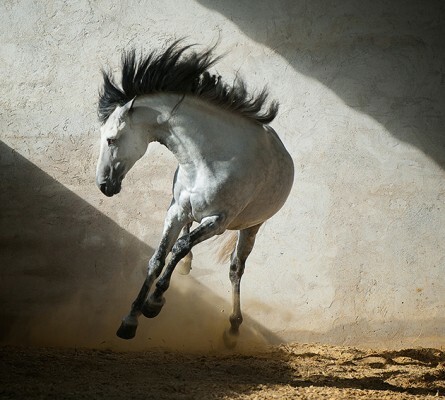 Steve Jones, a specialist horse photographer from Luton, Bedfordshire, beat 3,300 entrants to take top spot in the RPS’s Members’ Biennial Exhibition, with an image entitled ‘Joie de Vivre’, captured in France. Steve started his career as a wedding photographer before launching a pet photographic business in 2011. The following year, a love of horses led Steve to set up an equine photography business. Steve recently took part in a horse photography workshop that, he says, rekindled his passion for photography. ‘Horses give me so much back and it was not until I started to work with them that I realised how much they can enrich our lives and regenerate that excitement when photographing them,’ Steve says on his website. Steve’s winning image was captured at a stud farm in the Mid-Pyrenees in September 2014. The RPS’s Members’ Biennial Exhibition runs at the Grant Bradley Gallery in Bristol until 31 January, before touring the UK. This new Canon lens is what every ones been waiting for - and just in time for Christmas. Fashion photographer David Titlow has won the Taylor Wessing Photographic Portrait Prize for a shot of his baby son meeting a dog for the first time. The composition was captured by Titlow the morning after a large midsummer party in Sweden and has won the former musician a £12,000 prize. Second place was awarded to Jessica Fulford-Dobson for her portrait of a young Afghani girl with a skateboard. After sifting through more than 4,000 submissions from 1,793 photographers, the judges selected just 59 portraits for an exhibition at the National Portrait Gallery. The Taylor Wessing Photographic Portrait Prize 2014 exhibition is on from 13 November - 22 February. Kutub Uddin, who is based in Bognor Regis, West Sussex, beat more than 250 images in a contest run by the Society of International Nature and Wildlife Photographers. Kutub, who captured the image in his garden using a Sony Alpha 58, today told Amateur Photographer: ‘The two frogs are my pets. I was cleaning out their tank one evening and I watched as they climbed up a plant. ‘When it started to rain I looked to bring the frogs back in and I caught them in these very human poses, holding onto the leaf. The photographer, who used a 100mm macro lens, added: ‘It was really funny to see them acting so human by holding onto the leaf – it looked as if the frogs were using the leaf as an umbrella. U.S.-based LensRentals has announced an expansion to its photo equipment rental service that allows photographers to purchase the gear they've borrowed. This gives renters a try-before-you-buy option and lets those who have become enamoured with their rental equipment keep it forever. Lets hope the UK lens rental firms pick up on this idea. Abobe launched Elements 13 and Premier Elements today. With the arrival of version 13 of Elements and Premier Elements, there are even more easy-to-use editing tools for both photos and video clips. In Photoshop Elements 13, Photomerge Compose allows you to quickly snag objects from one snapshot and place them in another, blending colour and lighting to make for a realistic final product. The app will also suggest a smattering of crop options to fine-tune compositions, offer Guided Edits, allow you to "nudge" selection boundaries and it serves up a handful of options when a single effect is selected. To boost your video efforts in Premiere Elements 13, Video Story lends a hand with editing footage from major life events. There's also quick clip selection, Shake Stabilizer to make the most out of shaky camera shots and Guided Edits to help with titles and effects. Mobile device syncing got a boost across the board as well, and Elements Live provides tutorials, support and inspiration from right inside the apps. Photoshop and Premiere Elements 13 are available from Amazon from 26th September for £82.40 and £66.79 respectively or £97.99 for both. Upgrade versions are cheaper. 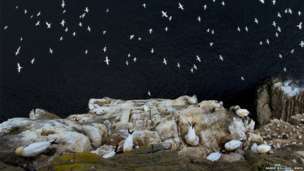 Here is a link to a BBC article about the Scottish Nature Awards 1013. http://www.bbc.co.uk/news/uk-scotland-highlands-islands-26817526 And here are some of the winning images just as thumbnails you will have to follow the link to get a better view. Turnstones are found in Fraserburgh Harbour, Ptarmigan are in the Cairngorms and Rattray Hear Lighthouse is just down the coast. The waterfall is in Stirling so you will have to leave Aberdeenshire to see it. Launching at Crufts, the Kennel Club is urging budding and experienced photographers to submit their canine images to the annual Dog Photographer of the Year competition. Heidi Hudson, Kennel Club Picture Librarian, said: “The Dog Photographer of the Year competition is the biggest canine photography competition in the world and we are looking for stunning images that capture a wonderful moment and that reflect our contemporary experience of living with dogs." The competition, which is exclusively presented by Samsung, is now open and free to enter. The overall winner will receive a Samsung Galaxy NX camera and will have VIP access to photograph the Crufts Best in Show winner in 2015. The submission deadline is 5p.m. (UK time) on 10 November 2014. Available from 06 March at a retail price of £5200, the new D4S sports a redesigned 16.2-megapixel FX sensor and the Expeed 4 image processor. It has a burst rate of 11 frames per second at full resolution, and is protected by “a tough weather-sealed full metal body”, Nikon claims. The photographer was challenged when police noticed him taking a picture as an officer was putting fuel into a police car,' revealed the Northern Ireland-based Police Ombudsman, in a statement on its Facebook page yesterday. ‘The photographer told Police Ombudsman investigators that an officer asked him to delete the image on the basis that it could be "of use to terrorists". Amateur Photographer (AP) has discovered that the incident occurred in March 2010 but has only just come to light after the Police Ombudsman reviewed its case studies, for publication on the organisation's Twitter and Facebook pages. It took place before the UK Government overhauled anti-terror laws following years of campaigning by amateur and professional photographers. A similar incident took place recently when a member of Fraserburgh Photographic Society was 'ordered' to delete the images he had taken of St Fergus Gas Terminal. The new owner of Kodak’s photographic paper business is on a mission to double the number of images printed, by making it easier for consumers to print their smartphone photos. As part of the project, the company is set to launch a smartphone app designed to allow consumers to order prints directly from their mobile phone, for collection, without them having to be at a Kodak printing kiosk at the time. The new service is due to be launched in January by Kodak Alaris, the firm set up after UK Kodak Pension Plan acquired the Personalized Imaging and Document Imaging businesses from US-based Eastman Kodak in September. Kodak Alaris's European general manager for Personalized Imaging, Lee Palmer, explained that a printing service is already available for Facebook and Instagram users - the latter delivering ‘square-format' prints. But consumers have to visit a high-street Kodak photo kiosk to order them. 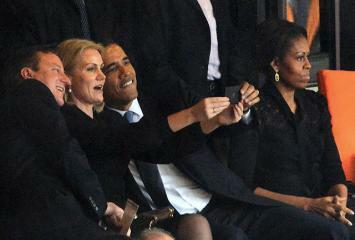 British Prime Minister David Cameron and his Danish counterpart on Wednesday laughed off criticism that they had acted inappropriately by posing for a mobile phone "selfie" with US President Barack Obama at Nelson Mandela's memorial service. A photograph of Cameron and Obama leaning in and smiling broadly for a smartphone snap taken Tuesday by Danish Prime Minister Helle Thorning-Schmidt has caused a storm on social media. Asked about the picture during his weekly question and answer session in the House of Commons, Cameron quipped that "you should always remember that the television cameras are always on." The Conservative leader also joked that he was building political bridges, a reference to Thorning-Schmidt's marriage to the son of Neil Kinnock. He has now said that the image should be auctioned for charity. Akvis has released version 7 of Akvis Magnifier. Available as a plug-in or a standalone application, the software is claimed to “deliver good results” when ‘uprezzing’ a photo to create poster-sized enlargements. “Resizing pictures with Akvis Magnifier yields a much higher quality image than simple bicubic interpolation,” the company says. Version 7 offers native 64-bit support, compatibility improvements, a new Crop tool and a Share option that lets you post images from the program to Facebook, Twitter, Flickr, Tumblr and Google+. Registered users of Magnifier can upgrade to version 7 free of charge. Artist-photographer Tim Walker has won a cult following for his flamboyant, lavishly staged and surrealist fashion photography. Now he brings his unique brand of very British fantasia to a subject close to his and all our hearts: grandmothers. 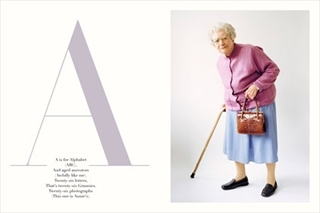 Together with the illustrator Lawrence Mynott, The Granny Alphabet is an affectionate two-volume A-Z of all things granny. A new magazine dedicated to nature and wildlife photography has just been launched in the UK. Wild Planet Photo Magazine features interviews with the leading wildlife photographers, such as Elliot Neep, a regular mentoring section in which in-house expert Ross Hoddinott shares his experience of shooting in the field and of course the latest photography news. Readers can also showcase their own work via the magazine's website and by entering the monthly "Best Shots" competition. Issue 1 is available to view now and Issue 2 comes out on 15th November. There is also a special offer for anyone wishing to subscribe to the magazine with 12 issues costing just £17.94, a 50% reduction of the cover price. 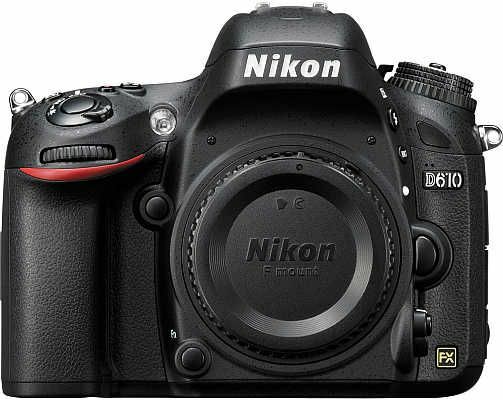 Nikon's rumored Df camera appears to have been revealed ahead of the company's formal unveiling. 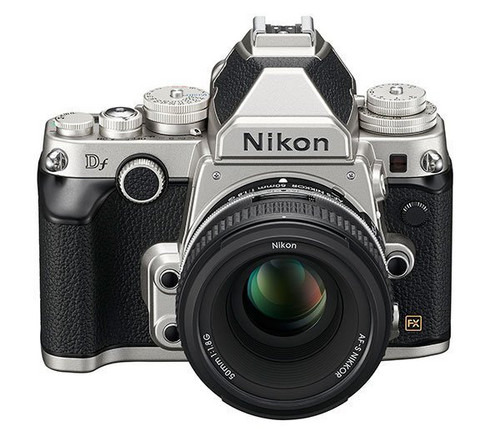 Live images and renderings posted by Nikon Rumors show a retro-styled body pairing leather-textured black surfaces with silver or blackened metal and a slew of manual knobs and controls, while an FX badge corroborates earlier leaks pointing to a full-frame 16.2-megapixel sensor tucked inside. The editor is pretty powerful, works on tablet and phones, handles full-size image processing, zooming, re-edit, image exports, user presets, etc. This new version also adds more powerful specialized tools (graduated filters, per-channel saturation controls, local adjustments, etc.) It is built into Android KitKat’s Gallery app, seems to be on par with the Snapseeds and Photoshop Touches of the world, and might mean some stiff competition for those apps from what looks to be a very capable built-in alternative. 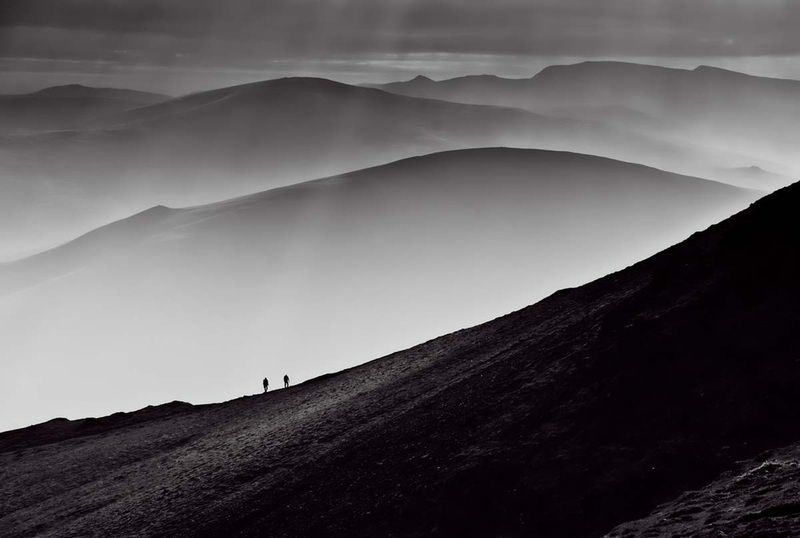 Sandisk has announced Callum Morse from the UK as winner of its 2013 SanDisk Extreme Team photography competition. 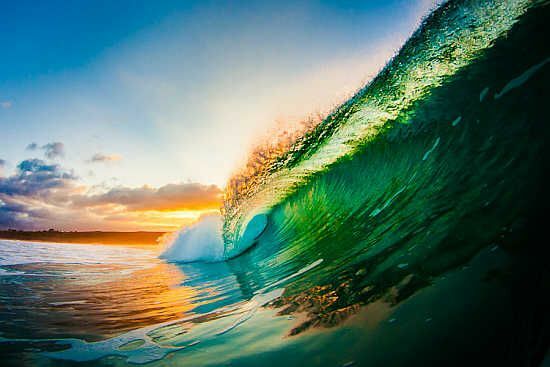 Callum’s winning image (below) depicts a tidal wave during a sunset. A few stories coming out this week serve as a warning in several ways for photographers to be careful. The storms ion Englands' South coast claimed the life of one photographer and lead to the rescue of another. And in a different way Amateur Photographer reported that a man had been charged with taking indecent photographs of children in Shrewsbury bus station. Whether this man is guilty or not is not really relevant what photographers must bare in mind is that this is the age we live in. In a separate report the same magazine covers the tragic story of a man falsely accused of taking photographs of children who was put to death by a vigilanty mob in Bristol. He was in fact taking photographs og hanging baskets. The work of the Air Cadets – the next generation – was also recognised. 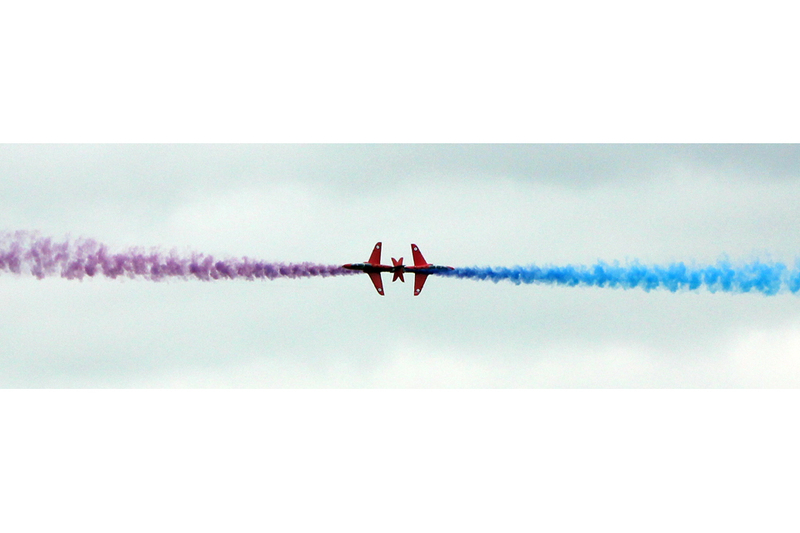 Cadet Sean Paterson from 18(F) Wimbledon Squadron won the cadet category with this stunning shot of the Red Arrows. Wildlife Photographer of the Year harnesses the power of photography to promote the discovery, understanding, and responsible enjoyment of the natural world. Now in its 49th year, the Wildlife Photographer of the Year competition provides a global showcase of the very best nature photography. The competition is co-owned by two UK institutions that pride themselves on revealing and championing the diversity of life on Earth - the Natural History Museum and BBC Worldwide. 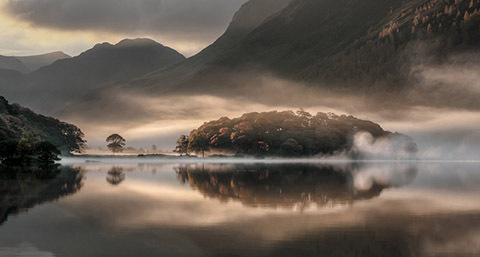 Tony Bennett from Derbyshire triumphed in the annual UK-based contest with his image of Crummock Water in Cumbria - praised as ‘magical' by awards founder and renowned landscape photographer Charlie Waite. Why do our cameras all resemble a box with a lens on the front? The answer is film. Due to digital technology, photo-taking and video-recording practices have been revolutionized, however there are no significant changes in digital camera body design. 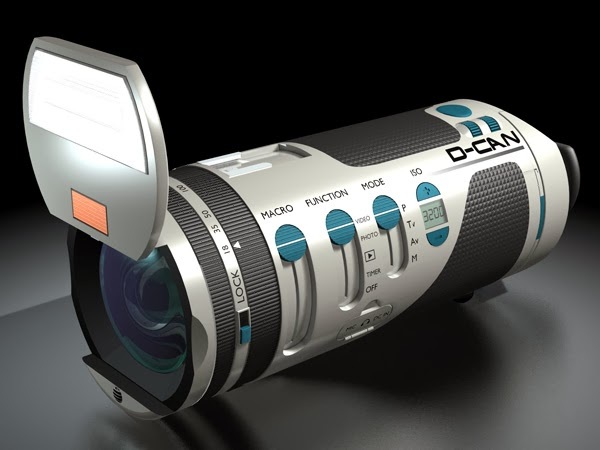 And that’s where the D-CAN comes in, with its telescope-shaped body. Featuring a cylinder form factor, the D-CAN is said to be ergonomically better for the hand, and significantly reduces volume will still providing all the finite controls professional photographers are used to. Whether it is the right shape or not, you will probably need to try one out before you can come to a conclusion though it’s definitely something to think about. The competition is FREE to enter and you may choose up to 3 categories. There will be one winner and one runner up from each category. All photographs will automatically be entered into the running to win the RSPB Scotland Photographer of the Year 2013! Hotly awaited by professional photographers and enthusiasts, the α7R from Sony sets an exciting new benchmark in digital imaging. A game-changing blend of imaging power and portability, this mirrorless camera redefines the creative options of full-frame photography in a palm-sized interchangeable lens camera. Along with the new α7, the camera give serious photographers a limitless array of new artistic possibilities. Expanding the range of optics from Sony and Carl Zeiss, six new full-frame lenses complement the cameras’ superlative image quality – whether you’re shooting detail-packed stills or crisp, cinematic Full HD video. FPS member Paul Woodburn scored double success at the New Pitsligo Visual Arts exhibition at the weekend. Not only was has a prize winner but the only two photographic images sold were his. Mobile Access - With Elements Mobile Albums, customers always have access to their precious memories. Powered by Adobe Revel, people can view, edit and share their photos and videos seamlessly on their smartphones, tablets and desktop devices whether at home or on-the-go. Pet Eye Correction - Added in response to customer requests, Pet Eye provides an easy solution to the problem of flash reflection in animals’ eyes, which is not addressed by Red Eye correction technology. Auto Smart Tone – Exclusive intelligent software that learns a customer’s editing preferences, resulting in one-click adjustments based on their choices, which gets better the more you use it. Quick Frames, Effects and Textures – One-click photo frames, effects and textures, inspired by the most popular looks customers have been creating in Expert mode. Guided Edits - Step-by-step instructions to create Zoom Burst and Photo Puzzle effects, as well as Restore Old Photo, which enable users to restore damaged or old photos. Straighten Tool - Now fills in missing edges through the use of exclusive Content-Aware technology. Share to Twitter – Share a photo with via Twitter. 64-bit support for Mac – Allows for more efficient use of your computers’ built in memory, maximising performance and enabling larger image files and videos to be edited quickly. Do you want to spend £15,00 on a new camera but feel you need to have hands on rather than buy on the internet? Hasselblad are pandering to your needs. They ahve opened their first shop, calling it a r'retail outlet' in Tokyo. William Penrice, Hasselblad Japan President said "Our exclusively designed Tokyo premises include a fully functioning photo-studio, a gallery and a creative space for photographers. We also have a unique display area showcasing the company's heritage products including examples of our classic V System and space cameras favoured by US astronauts." The ‘Smart Lens’ seeks to use the smartphone as a complement to serious photography, by using its processing power and adding only a much better – and totally independent – lens and sensor. Photographs taken at a much higher resolution are stored on the lens’s own memory card, but all the editing can take place on the smartphone. And while the lens can be mounted on the phone itself, it can also work on a range of up to 10m. So in a crowd it’s easy to hold the lens up above your head and use the screen held in your other hand to see what’s going on. Called the QX10 and QX100, and retailing at £149 and £399 respectively, Sony’s lenses are not cheap. But the QX100, for instance, gives you everything currently available in the £550 Sony camera on which it is based. Sony claims the devices are “for anyone who loves their smartphone but wants the photo quality that only a dedicated camera can deliver. 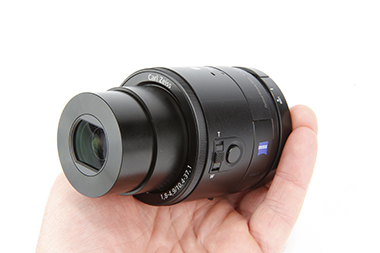 And whilst they look like lenses, the DSC-QX10 and DSC-QX100 are complete cameras in their own right”. They’re certainly a new option for anyone who wants to carry slightly less bulky gadgets around – and they’re a potent reminder that the smartphone in your pocket is increasingly the central controller for a host of other devices around you. You have until the end of the year to sign up for this deal. Be inspired by nature and win a once in a lifetime nature photography trip! 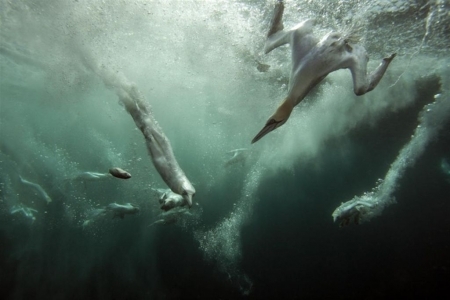 The eighth annual Scottish Seabird Centre Nature Photography Awards are now open! We are inviting amateur photographers worldwide to venture out into the natural environment and capture flora and fauna on camera. Winners will join Scottish Natural Heritage photographer Lorne Gill on a trip to the magical Isle of May, one of Scotland’s top wildlife destinations, to receive first-hand hints and tips, while Junior winners will receive goody bags of photography equipment. Designed for the iPhone, the new Olloclup telephoto lens and circular polarising lens system has been designed to capture "a crisp, close-up photo or video at half of the effective distance." The fixed 2x magnification optical lens slides on and off the iPhone in seconds, and is available for the iPhone 5, the iPhone 4S and the iPod touch. The lens is manufactured using a multi-element coated, optical quality, precision-ground glass lens and high-grade aluminum body, claims Olloclip. The circular polarising lens blocks out light coming in at user-adjustable angles, "making colours truer to life and reducing reflections," says Olloclip. "The CPL can also be used directly on the iPhone camera or on the Olloclip 3-in-one lens system [released earlier this year]." A line up of inspiring speakers from the UK and Europe has been announced for the Scottish Nature Photography Festival, which is returning to Perth in September this year. Skye based photographer, Marcus McAdam will open the festival on each day and will be joined by a strong cast of award winning photographers including, Mark Hamblin, Nick Cobbing, Bertie Gregory, Edwin Kats from The Netherlands and Estonia based, Sven Zacek. Taking place at Scottish Natural Heritage's prestigious Battleby Centre just outside of Perth on 14 and 15 September, the festival will feature inspiring speaker presentations, stunning imagery, workshops and trade stands as well as the chance to mingle with like-minded photography enthusiasts. From 2013, The Wild Media Company will coordinate the event as part of its commitment to promoting visual imagery as a vital tool in nurturing a wide appreciation of the natural world. on SUNDAY 22nd SEPTEMBER 10.00 am Start (just off the M74, Juntion5) This year's Main Presenter is Richard Brown FRPS FIPF EFIAP APAGB It is with great pleasure that we have Richard returning to Scotland, after many years abscence, to be the main Guest Speaker at our AV day once again. We also have Jim McCormick DPAGB, who will also give an AV presentation during the day. In March, Jessops boss Peter Jones unveiled plans to reopen up to 36 shops by the end of April, just months after administrators pulled the plug on the business under previous owners. The new retailer says it provides a standard six-month guarantee and that all used equipment undergoes professional cleaning - including camera imaging sensors. It has pledged to replace any missing accessories. Do you use your phone camera but can't get close enough top the action? Snapzoom may be for you.The makers of Snapzoom want to bring your smartphone closer to the action without relying on your device's digital zoom. The universal adapter works with most smartphones with or with out a case, they say, and all single or dual eyepiece scopes like binoculars, spotting scopes, telescopes and microscopes. Fraserburgh Photographic Society didn't do too well in the recent head to head competitions with Deveron Camera Club and Peterhead Camera Club. The format for each one was the same. Each club puts in 25 images. These are sent to a local judge who comes to a meeting of both clubs involved to go through the images and announce the marks awarded. The match with Deveron was held on 28th March in Fraserburgh. Bob Smith of Bon Accord Camera Club was the judge. The scores were Deveron 399 Fraserburgh 368. Two images were awarded top marks of 20 both were from Deveron. On 18th April the match with Peterhead took place in Fraserburgh. The judge, David Pickford gave Peterhead a total score of 448 and Fraserburgh 382. 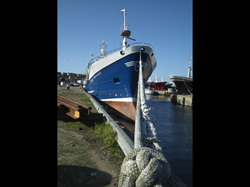 Three images, all from the Peterhead club achieved top marks of 20 points. Adobe has released a public beta version of its Photoshop Lightroom 5 workflow and image editing software and we've had some time to look at its latest features. Available immediately for free download from Adobe Labs, the beta introduces a more advanced healing/cloning tool, automatic image leveling and perspective correction, a new selective editing tool and the ability to edit files that are offline. As with any pre-release software, please keep in mind that this is a beta release intended to generate user feedback and identify performance issues. The tools and features on offer may be changed before final release and we do not recommend using beta software for any mission critical work. And as always with Lightroom public betas, to begin working, you must import images into a new version 5-compatible catalog. You cannot update version 4 and earlier catalogs in Lightroom 5 beta. 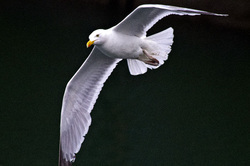 Chevron, n association with TCV Scotland and Scottish Wildlife Trust, are hosting the above exhibition of photographs at the Museum of Scottish Lighthouses, Kinnaird Head, Fraserburgh until 19th April. 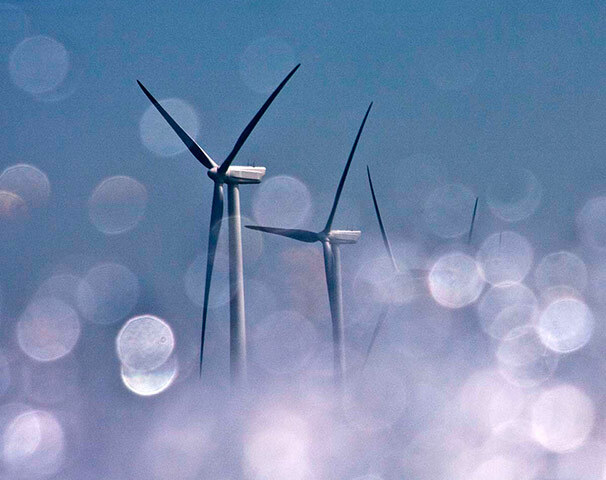 Focus Environment is an environmental photographic competition for secondary school pupils throughout Scotland. The competition encourages young people between the ages of 11-18, to demonstrate their awareness of the natural world around them. 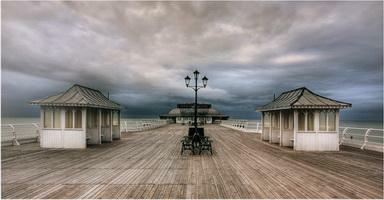 A combination of imagination, observation and photographic flair can win cash prizes for pupils and their schools. Hawk Consevancy Trust closing date 31st December. £5 entry fee. On Friday, the chain closed all remaining 187 shops with the loss of 1,370 jobs as the 78-year-old business ceased trading, just days after falling into administration.Five of the 192 shops that were trading at the end of 2012, closed after Christmas.A further '150' people are expected to be made jobless at the company's head office in Leicester, according to accountants PwC who are acting as administrators.A statement posted on the Jessops website warns: ‘Customers who have ordered and paid for all or part of their stock – either in store or online – will not receive their stock purchase. Customers who are owed money by Jessops – such as in the form of unredeemed gift cards and vouchers, or courses paid for in advance – will also lose out. Administrators have set up a Jessops Group Limited helpline which can be reached on 0113 289 4422.Meanwhile, Nikon has moved to reassure customers that it is ‘actively working with administrators and plans to undertake all outstanding repairs as quickly as possible'. In a statement, the firm added: ‘Nikon UK can confirm that we will also be honouring any repairs under Jessops' Photo + extended warranty scheme.' For details call 0330 123 0928. Nikon blames Jessops’ recent poor results for its decision to withdraw support for the chain, and Canon says it remained willing to the end to back the retailer ‘in a reasonable way’. Nikon and Canon, both key suppliers, say they felt unable to continue their long-time commitment to Jessops whose remaining 187 stores shut down last week. Nikon UK general manager John Walshe told Amateur Photographer (AP): ‘Nikon sincerely regrets that Jessops has gone into administration. ‘Jessops has been a valued customer of Nikon for many years and Nikon has continuously supported Jessops. ‘More recently, the management teams of Nikon and Jessops reached an agreement on how Nikon would continue to support Jessops and enable them to continue trading. Canon stressed that closure of the Jessops stores, and the decision not to continue trading, was that of the administrators. AP understands that Jessops owed its bank, HSBC, £30 million when it collapsed on 9 January. Latest press reports suggest that Jessops suffered losses of £5.2m in 2012, a figure which PwC, the administrator, was not able to confirm to AP today. Jessops made a £0.9m loss after tax for the year to 1 January 2012, notching up turnover of £236m, according to accounts filed at Companies House last year. Speaking at last week's Consumer Electronics Show in Las Vegas, Armitage told AP that Sigma did not offer credit to Jessops, and that it has a ‘closer relationship' with independent camera shops. He said he believes there is a demand for quality high-street retailers with 'knowledgeable staff'. Jessops chairman Martyn Everett could not be reached for comment. 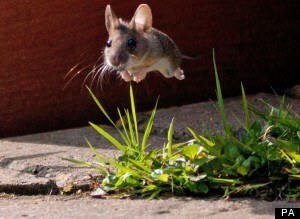 The reason for putting this item in the news is to show the jumping mouse. It wasn't the winner but I think it's great. 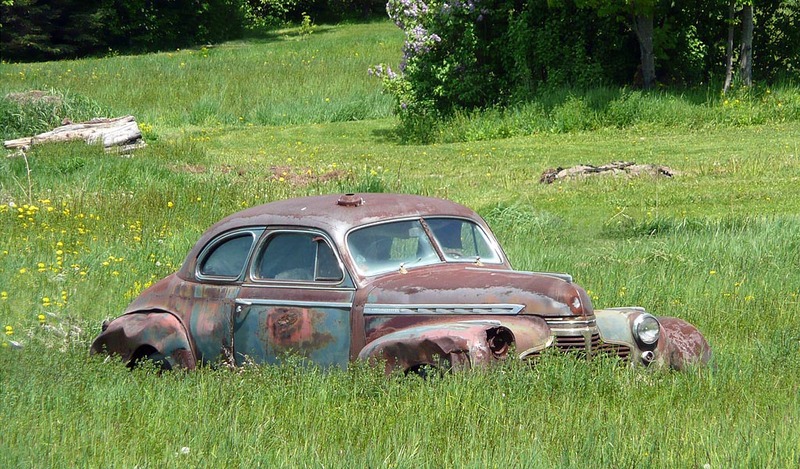 Here is something a bit different to do and there is a potential of winning £250 of Jessop vouchers. The Guardian newspaper is publishing a pamphlet '"Photography: A Guardian Masterclass" to go out in the paper on 17th November. The competition is to provide the image for the front cover. Full details can be found on the Guardian web site. If nothing else follow the link on the site to the inspiration gallery. Number 3 is just a horse but an amazing image. All photographers are welcome to come and join Fraserburgh Photographic Society. If you are a beginner there are plenty of people who will gladly give advice. If, like me there are things about your photography you want to improve entering the competiotions is a great way of finding out what other members do and getting the veiws of the outside judges who are trained by the Scottish Photographic Federation. And if you are an expert then come and show us how it is done and you will contribute in two ways to improving the standard of Photography in the club. Fraserburgh Photographic Society held the annual dinner and presentation evening on Thursday 10th May at the Fraserburgh Leisure Centre. Following high tea embers and their guests adjourned to the boardroom where a show of the images entered into Society competitions throughout the year was given. Andrew West, President explained that all the entries had been given marks by external judges and that the marks given to each member had been totted up to determine the Fraserburgh Photographic Society Photographer of the year. Paul Woodburn was in third place with 286 points, Andrew West was second with 295 points and the Photographer of the year was Stanley Partridge with 308 points. 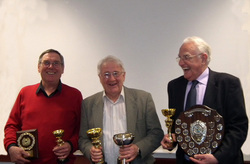 After Andrew had presented the trophies he revealed that it was not until the final competition marks had been awarded last month that a clear winner had emerged. Stanley Partgidge’s first and second place secured his position as Photographer of the Year. Fraserburgh Photographic Society climbed up the table to come joint tenth in the region wide Grampian Eye competition held on 18th April at Alford. Sharing 210 points with Ellon Photographic Group (who submitted the individual winning Image ‘Asleep’ and just 8 points short of Peterhead Camera Club (last years Grampian Eye winner) is a good indication of the improvement that Fraserburgh has made in the last twelve months. 1012 Grampian Eye winner Bon Accord Camera Club based in Aberdeen scored 250. Each club in the region submitted 15 images into the competition and each one was marked out of 20. The judge for the day was Duncan McEwan a member of Paisley Colour Photographic Club. Duncan McEwan was an official photographer with Team Scotland at 2006 (Melbourne) and 2010 (Delhi) Commonwealth Games. He has been admitted to the SPF Roll of Honour for services to Club photography in Scotland and is a lecturer and judge for the Scottish Photographic Federation as well as being on the Photographic Alliance of Great Britain list of judges. 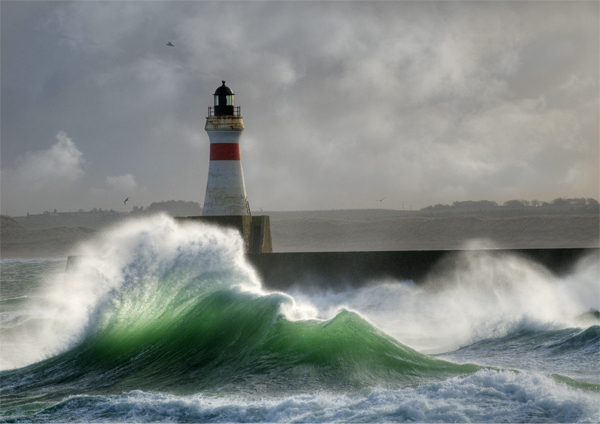 The top scoring Fraserburgh images were ‘The Blue Dome’ by Andrew West and 'Flying High' by Stanley Partridge each scoring 17 points. Mike Chandler secured the top spot in a club competition for the first time with his image 'Guillemot Take Off' second was Norman Roberson with 'Glassy Water' and third Jim Gray with 'Niagara Falls'. Twentyone image were put into the competition wich was judged by members attending on the night. Fraserburgh win friendly against Peterhead. In a friendly competition Deveron Camera Club beat Fraserburgh Photographic Society by just 3 point 391-388. Stanley Partridge took the top three places in the Month 4 competition. Jim Gray took joint third place. Click here to see the winning images The other entries in the competition have been added to members gallery pages. club (http://www.guardian.co.uk/artanddesign/series/camera-club) and every month there is an assignment . Why not give it a go.